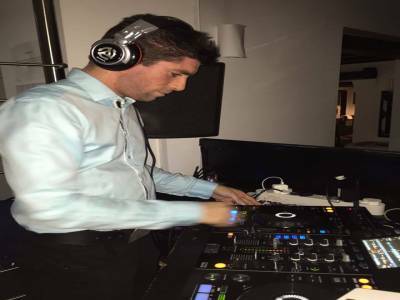 "Professional Mobile DJ With Club Style Mixing"
Have you ever been to a party where the music is all stop and start and you feel the DJ is not part of your party? Well i'm not that kind of DJ. With years of experience catering for weddings, birthdays, kids parties and many more. Professional grade equipment such as wireless microphones, DMX controlled lighting, lasers, smoke machine and much more available. Any event can be tailored to suit you and your guests, even down to my attire. Professional mixing that will help keep you and your guests on their toes, blending from track to track to keep my feet and your feet dancing all night long. Playing the best from the 70s, 80s, 90s, cheese, party, dance, garage, current chart and many more. Take a look at my pictures/videos and reviews. Live singer option available. Please feel free to contact me for quotes and if you have any questions. Required by many venues, DJ AJ Mobile Services has a current PLI policy with insure4mus in the amount of £1 million. Also required by many venues, DJ AJ Mobile Services has not provided satisfactory evidence of having current PAT records available. Why do people choose to book DJ AJ Mobile Services? The best option for us as a school. "DJ AJ was friendly, reliable and good fun. He was a top bloke who did exactly what was asked of him. Would recommend him to anyone. " 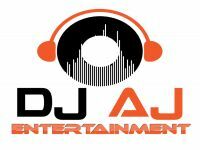 DJ AJ Mobile Services also offers a range of additional party services not directly linked to musical entertainment. You may contact DJ AJ Mobile Services directly using this form. If you are contacting DJ AJ Mobile Services about an event, it's always a good idea to include the DATE, LOCATION, EVENT TYPE, AGE GROUP and TIMINGS to speed things up!